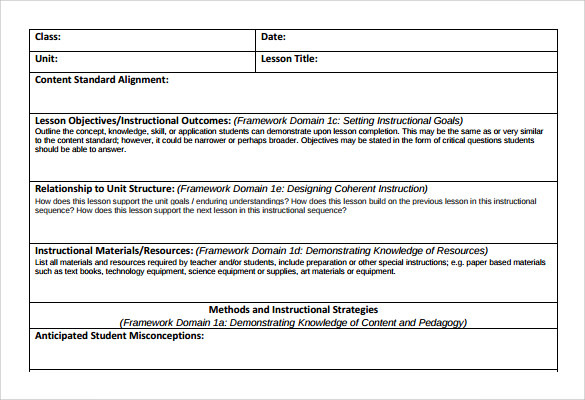 A unit lesson plan helps you to create a thorough schedule on how to approach a particular unit with utmost efficiency. It is generally prepared in the form of a table with rows displaying the topics to be covered and columns stating the required time duration. The conclusions to be reached after each class are also mentioned for assistance. You can now create effectively and proficient Lesson Plans choosing from the wide variety of Sample Unit Lesson Plan Template available to you right here in easy to download and access word and pdf format. 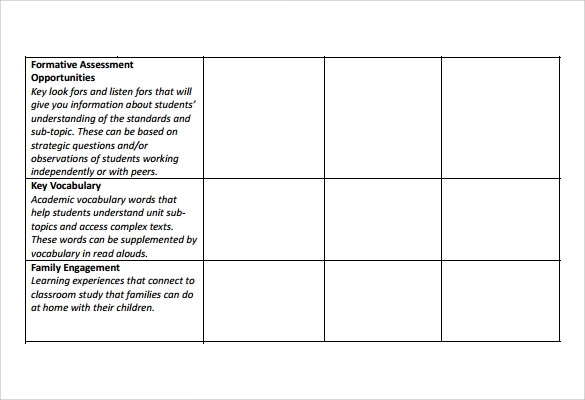 The Unit Lesson Template is available in word format and is easily downloadable. 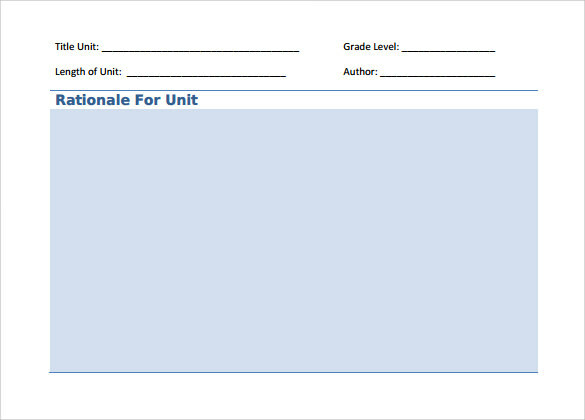 Title unit, length of the tile, grade level and author are the four important points that are listed here. In addition to that, there is another section where rationale for unit is also present. Formative assessment opportunities, key vocabulary and family engagement are the three key points that are listed here. This is designed in word and comes in table format so that it can be taken as print out version easily. It consists of complete alignment of the NYS pre-kindergarten foundation details along with ideas for learning centers, book list, family engagement and weekly plan are listed. 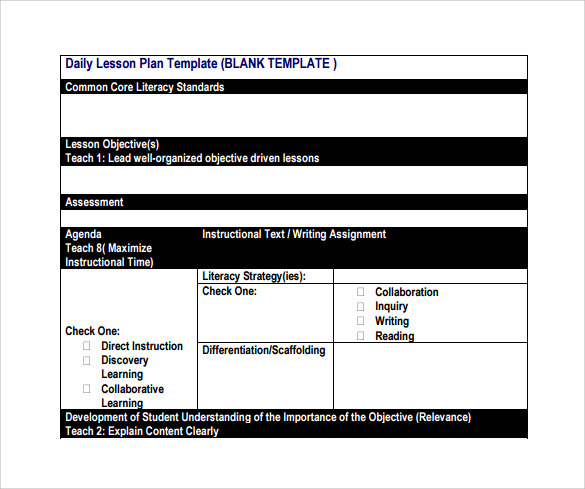 These Unit Lesson Plan Templates come in PDF file format. 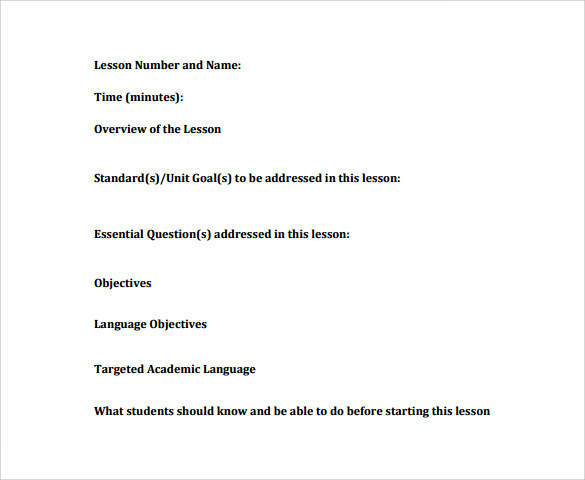 It has designated space to give the unit lesson template a pro-look by attaching its own logo along with designated spaces for writing name, address, and the time of the training schedule. 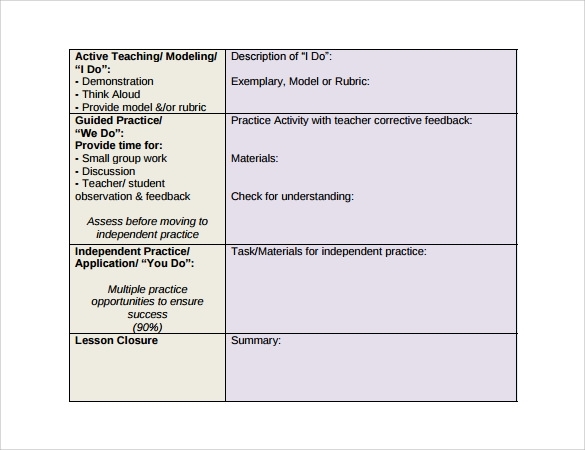 It is based on approaches to unit and lesson planning introduced in TE 401 and used more extensively in TE 402. Developing Performance Assessment, Designing daily lesson plans and instructional plan are some points that are listed here. 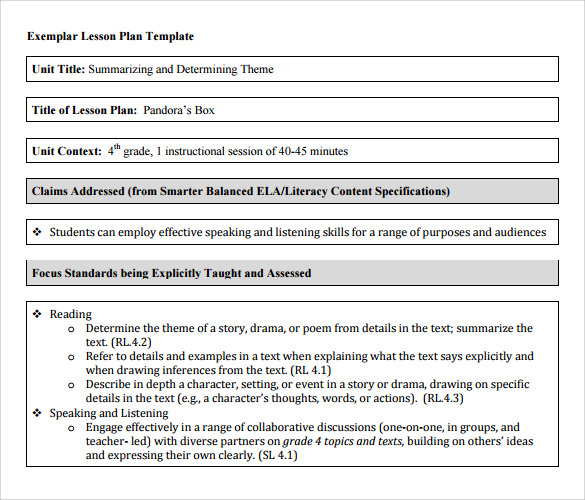 What Are The Reasons To Use Unit Lesson Plan Templates? These Unit Lesson Plan Templates find extensive applications in schools, colleges, universities, and where various short and long term courses are conducted. The training plan is fine enough as this helps the students groups for gathering more information on a particular subject or topic. But at the same time, it is also important to chalk out those training schedules from starting to end. So that it will give a proper message and deliver the required outcome. It basically describes how to approach a particular mass and what will be the outcome for this. 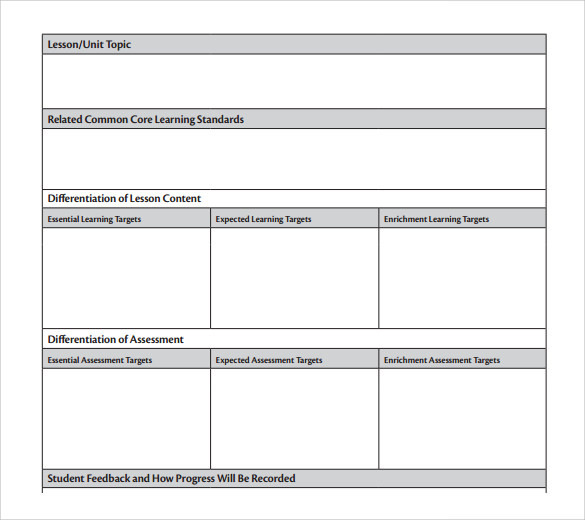 When To Use Unit Lesson Plan Templates? When training is very frequent and held in a week or bi-weekly manner, then this type of templates are used. Before announcing any training schedule, there are certain points, that need to keep in mind and plan the training accordingly. That’s the main reason why this type of template is used. It includes everything like the trainer, their designation; number of students present in that program, estimated time etc. These are used by several universities, schools, and colleges where training is conducted regularly. You may like Daily Lesson Plans. 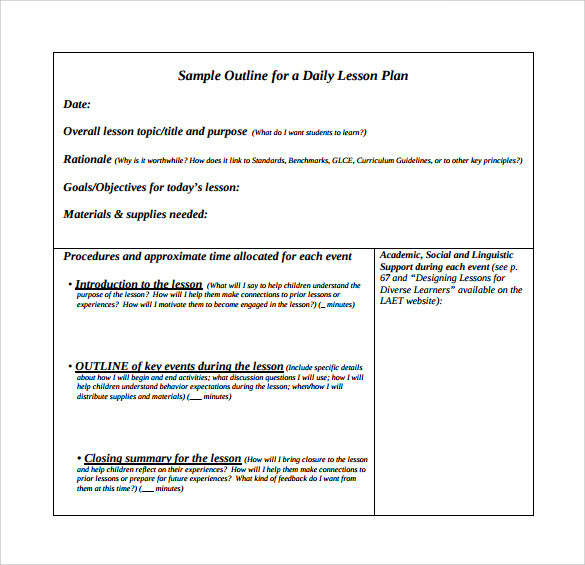 A Unit Lesson Plan Template is a very effective thing as this reduces the time for the manual intervention. It is used as readymade blueprints and a proof that the training has been conducted once. With spaces of some unit lesson plan templates for using their own logo signifies it will deliver a more professional look. It also helps to resolve and clear out any sort of confusions or issues that often arise at the time of training. This is available in table format ensure that, there is a provision for enlisting all the details in well-maintained format. Any training institute or educational center can customize the template by adding their logo or putting their own points so that it can deliver a more professional feel. It is ready for print and can be shared as PDF version for authorization before the main training starts.